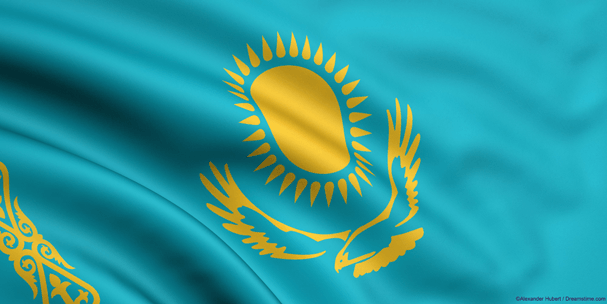 A report published this month by the Electronic Frontier Foundation (EFF) has lifted the lid on the extent of the crackdown by the Government of Kazakhstan on so-called dissidents. According to the EFF, the Kazakh regime continues to intimidate those who are viewed as standing against or speaking out against them with a range of tactics, including various means of online harassment. The allegations leveled include that the Government has undertaking online surveillance and even uploaded malware onto the devices of journalists, opposition party members, their families, and even the lawyers of those who are pursuing the Government through the Kazakh legal system. The EFF have dubbed this campaign “Operation Manul” and they have pieced together a shocking array of evidence against the Kazakh government with the help of two separate cyber-security companies. In particular, the targets seem to have been those linked with the website Kazaword, which has published various leaked documents it claimed demonstrate systemic government corruption. But the campaign, whilst undoubtedly malicious in intent, has apparently not always been the most professionally executed one. EFF has traced much of the activity back to an Indian security company called Appin Security Group, and their conclusion is that the Kazakh regime has simply hired them in an effort to carry our surveillance on stated targets. They note that “a hired actor may also explain the generic and uninspired nature” of many of the attacks. They have also found links to a company called Arcanum Global Intelligence, which is based in Switzerland and which is also believed to have been contracted by the Kazakh regime. For those familiar with Kazakhstan’s record on online freedom, these revelations will likely not be too much of a shock. They are on record as having attempted to establish a ‘Kazakh Great Firewall’ in the same vein as the Chinese one and have close links to the Chinese Communist regime on these matters. From January of this year, the Kazakh regime has gone one step further, though. They now have a programme of online surveillance which encompasses the whole of the country. All citizens of Kazakhstan have been obliged to download a new “national security certificate” onto all computers, tablets, and smartphones. This intercepts all online activity between Kazakh citizens and overseas servers and can even collect data on encrypted connections. Needless to say, this is a huge invasion of privacy and has had a massively negative impact on relations between Kazakhs and the outside world. And as the report points out, and well as stymying the flow of information between Kazakhstan and other countries, it will also be hitting the country’s economy extremely hard too. Widespread blocking on popular international sites and systemic government surveillance is a huge deterrent to outside investors thinking of doing business in a country. It also means companies have slow and unreliable internet connections, which in the modern age is also a big turn off. But perhaps most crucially, it is also a massive security risk to companies too. Even if they were not concerned about all their corporate secrets falling into the hands of the Kazakh regime, they know that such collection is a lure to hackers too. Gathering all this data makes the Kazakh regime vulnerable to cyber-attacks and this is a risk many businesses just won’t take. As for individual users, it does seem that the campaign is only targeted at those openly critical of the Kazakh regime for now. But the bulk collection of data on this scale is a huge invasion of privacy and will no doubt undermine freedom of speech and expression for Kazakhs, even within the confines of their own home.